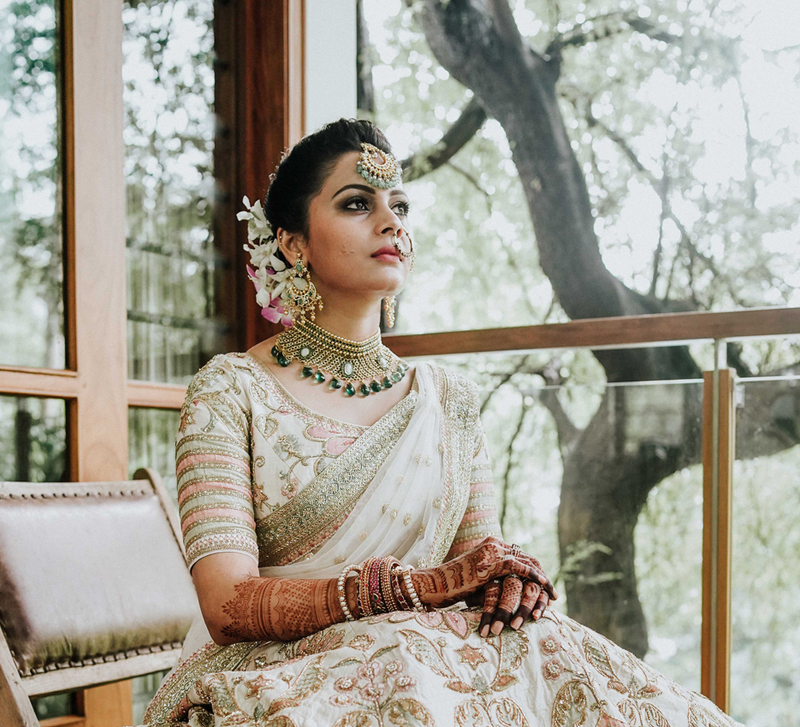 Priyanka’s bridal trousseau included striking Kanjeevaram sarees and ensembles from established designers, which ensured a distinct look at every function. Priyanka’s stunning bridal ensembles were all about colors and standout jewellery. 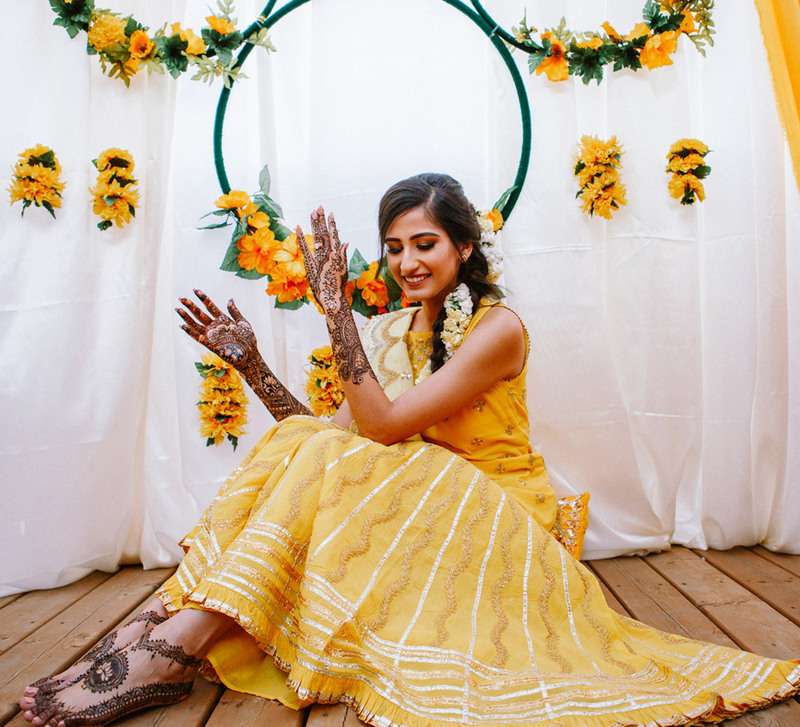 The bride wanted to look like a princess for her fairytale wedding in New York and she enlisted a wedding stylist in India to make sure she would look like royalty on her big day. Here’s a showcase of her discerning style that is inspirational in how it can all ‘come together’. Priyanka and her mother chose one of the pieces that her wedding stylist Meha Bhargava picked out at Varun Bahl for the sangeet. A traditional lehenga, its color and vibrant embroidery set it apart. The hand worked floral motifs and little embellishments brought an element of elegant bling. 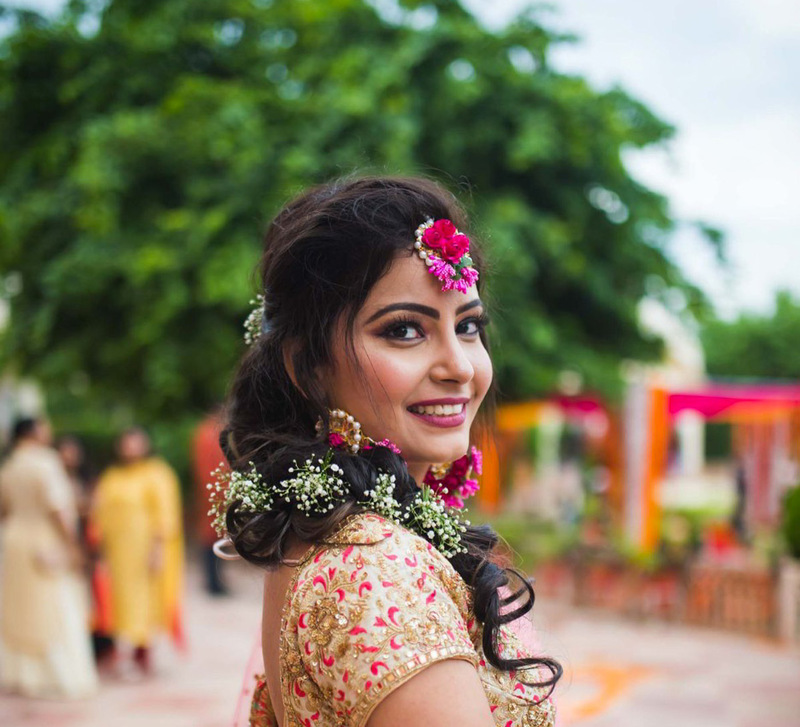 With gorgeous statement jewellery and beautiful makeup and hair, there was a spring in her step at her sangeet. To the Tamilian wedding, the bride wore an ensemble that was traditional and met the cultural specifications. She picked an uppadda and a kanjeevaram saree and looked ethereal at the ceremony. 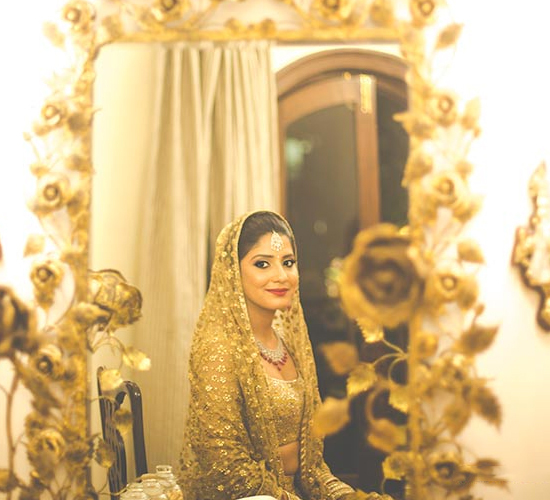 Following tradition, the bride wore a traditional Kasan Mala, added an intricate petal gold choker with pearls along with a waist belt, a maangtika and beautiful bangles that were coordinated to complete her look. For the reception, Priyanka picked a white lehenga heavy with Kashmiri embroidery that sparkled with blue sequins. To add her own signature to the look, the bride traded the original blouse with a studded corset style top to make a statement. She teamed the gorgeous outfit with diamond jewellery to complete her beautiful ‘princess-bride’ look.